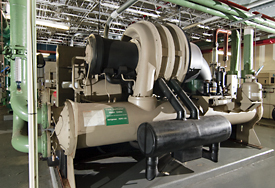 Providing comprehensive service for all HVAC applications, mechanical systems, and process cooling including but not limited to Rebuilds, overhauls, teardowns and retrofits. Chillers (Water and Air Cooled)CoolingTowers, Air Handling Units (Chilled Water and DX) and Pumps. We are open for business! Call us for your Commercial/ Industrial service needs. Our Grand Opening Event was a huge hit! Thank you to our wonderful customers for coming out. Thank you for your business and we hope you enjoyed the oysters! Offering scheduled mainternance, Oil sampling with laboratory analysis. Use of state of the art diagnostic equipment for preventative maintenance and troubleshooting. We offer repair and service for any brand air-cooled chillers, but also offer temporary or portable chiller services.